What Camera do Famous YouTubers Use? 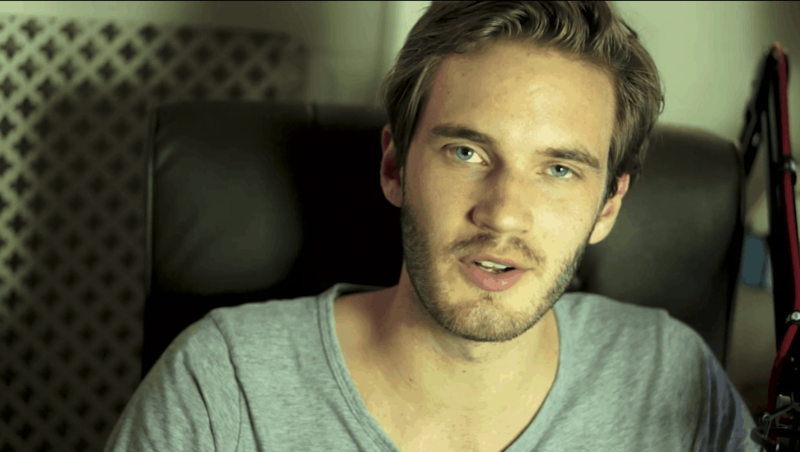 Felix Kjellberg aka ‘PewDiePie’ is a Swedish YouTuber and gamer based in the UK. PewDiePie was born in Gothenburg, Sweden where he pursued a degree in industrial economics and technology management but dropped out to pursue a full-time YouTube career just a year after he created his YouTube account. His parents disagreed with his decision and did not support him financially so PewDiePie started working at a hot dog stand to fund his videos. In 2012, only one year after dropping out, PewDiePie reached 1 million subscribers on YouTube. On 15 August 2013 PewDiePie’s channel became the most subscribed channel on YouTube for the first time. After being briefly surpassed by YouTube’s Spotlight channel he reclaimed the position on 22 december 2013. PewDiePie has held that position ever since and also became the most viewed channel of all time in July 2014. This list contains all the equipment and software PewDiePie uses to produce his videos. What headphones does PewDiePie use? 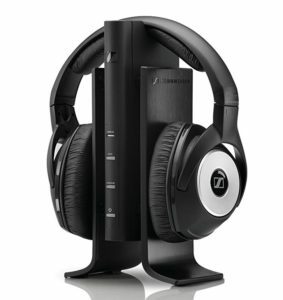 PewDiePie currently uses the Sennheiser RS 170 Wireless headphones. PewDiePie changes headphones a lot so we will try to update this as often as we can. PewDiePie also has a Corsair Gaming headset which he painted pink. 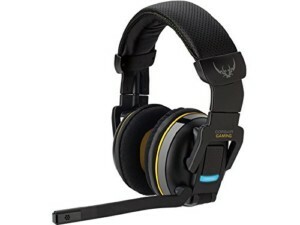 This headset also has a built-in microphone which allows you to other players. What microphone does PewDiePie use? 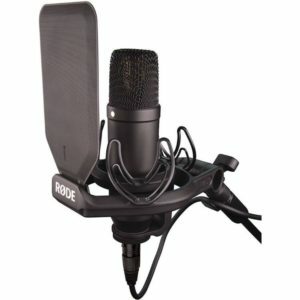 For recording his voice he uses the Rode NT1KIT Condensor Microphone which is mounted on a Rode PSA1 Swivel Mount Studio Microphone Boom. This microphone is connected to the Steinberg UR22MKII 2-channel USB interface by a lyxPro Balanced XLR cable. What computer does PewDiePie use? Unfortunately PewDiePie’s PC specs are unknown. We only know the tower case which he used for his PC build which is a Corsair Obsidian Series 650D Mid Tower Case. He placed his case inside a server rack together with his consoles: Wii U, Xbox One and Playstation 4. What monitor does PewDiePie use? 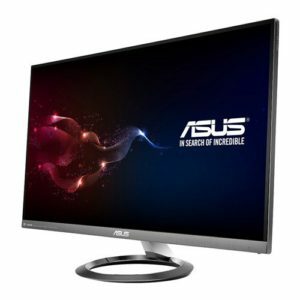 PewDiePie currently uses the ASUS MX27AQ. This 27-inch frameless WQHD monitor displays beautiful images and has built-in eye care technology to reduce eye fatigue which makes it perfect for long gaming sessions. What keyboard does PewDiePie use? PewDiePie prefers a smaller keyboard and uses the KBC Poker 3. 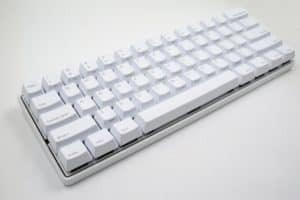 This mechanical keyboard has 3 different customization layers and is very strong due to the metal bezel. What Mouse does PewDiePie use? 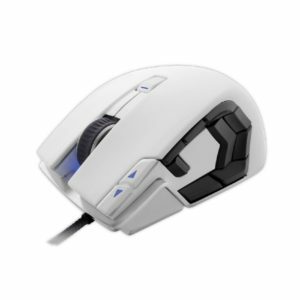 Felix uses the Corsair Vengeance M95 gaming mouse which is extremely precise, has 15 programmable buttons, selectable response time, a high-mass scroll wheel and low-friction glide pads for swift and precise movements. 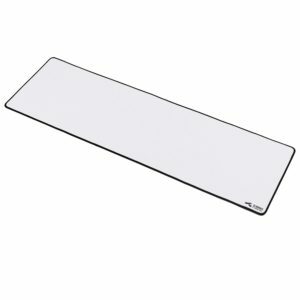 PewDiePie uses this white extended gaming mouse mat made by Glorious for the best mouse speed and control during gaming. What desk does PewDiePie use? 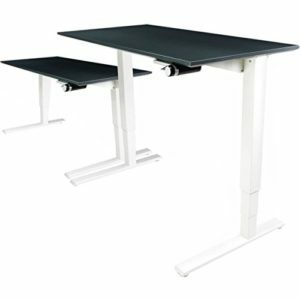 The desk PewDiePie uses is a Humanscale desk with a float table base which makes it easy to transform it into a standing desk anytime you want. PewDiePie uses the SMAGREHO hammock as a foot rest under his desk. What recording software does PewDiePie use? To record gameplay PewDiePie uses Open Broadcasting Software (OBS). This software is free and open source which can be used for recording video and live streaming on Windows, Mac or Linux. OBS also allows you to record your screen and your webcam at the same time. What video editing software does PewDiePie use? PewDiePie currently uses Adobe Premiere Pro CC to edit his videos. Adobe’s creative cloud software is available on a subscription model so it no longer requires a big upfront investment to purchase the software. You can download Adobe Premiere here. What photoshop does PewDiePie use? PewDiePie uses the latest version of photoshop: Adobe Photoshop CC. You can download this version of Photoshop on Adobe’s website. What camera does PewDiePie use? 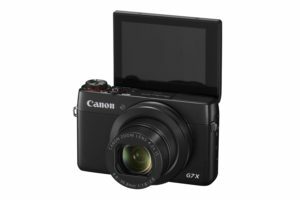 For recording his vlogs he uses a lightweight camera that is easy to use and carry around, the Canon PowerShot G7 X. 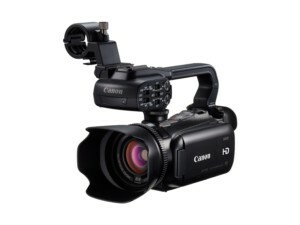 If he wants to record in really high quality and can get someone else to film he prefers to use the Canon XA10. He uses this camera mainly for his comedy skits. What webcam does PewDiePie use? For recording himself while creating gaming videos PewDiePie uses the Logitech Pro 9000. 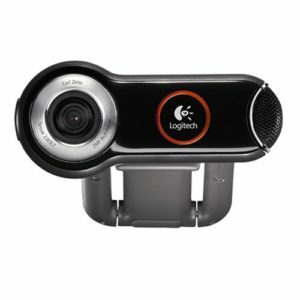 This webcam records in crystal clear HD, has very smooth autofocus and also automatically adjusts the brightness for the best performance in every light. What lighting does PewDiePie use? 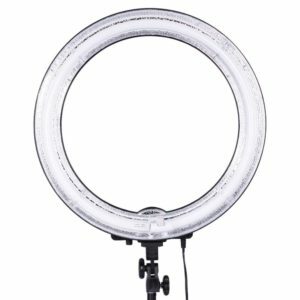 The main source of light PewDiePie uses is the Neewer Camera Ring Light. The direct light of the Neewer ring is very harsh and will reflect on all darker and reflective materials. 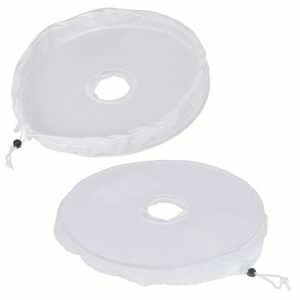 To prevent this PewDiePie uses a softbox diffuser by Neewer which is collapsable so is very easy to store when not in use. If you want to stay up to date with PewDiePie you can follow him on the following websites. Want more subscribers? Download our free e-book with 71 tips, tricks and proven strategies to get more views and subscribers to your YouTube channel! VloggingPro is a participant in the Amazon Services LLC Associates Program, an affiliate advertising program designed to provide a means for sites to earn advertising fees by advertising and linking to amazon.com. COPYRIGHT © 2019 · VLOGGINGPRO.COM, ALL RIGHTS RESERVED.